My friends in Hamburg took me to a new location to be in our hometown. River Kasematten is a historical place in Hamburgs harbour facing the famous Blohm + Voss docks on the other side of the Elbe. 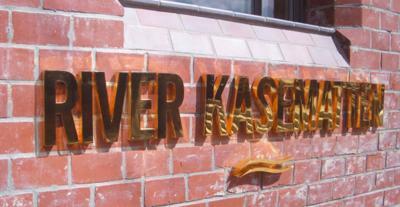 After the second World War River Kasematten became a well known place for jazz freaks. 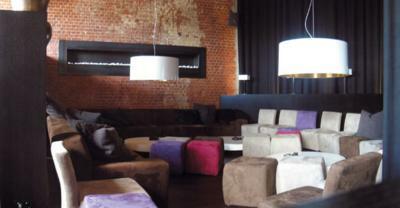 After its renovation and recent re-opening River Kasematten is the place to relax, lounge, eat and party in the city. Interiour designer Frank Theuerkauf was responsible to create the elegant atmosphere - a well-tempered mixture of materials and discreet colours - of that new restaurant and lounge. Some of the lamps and furniture are custom-made, the clinker walls are beautifully restored and the restromms are decorated with golden mosaic tiling. On the huge open terrace a combination of teak and wicker furniture invite you to relax in the rising or declining sun. 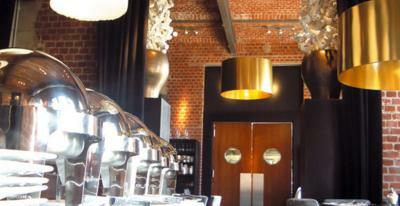 The two owner Bahman und Behrous Moaiyeri do also run the resto “Turnhalle” in St. Georg district with great success. This entry was posted on Saturday, August 6th, 2005 at 12:56 am	and is filed under Glorious Destinations, Tragically Hip. You can follow any responses to this entry through the RSS 2.0 feed. You can leave a response, or trackback from your own site. 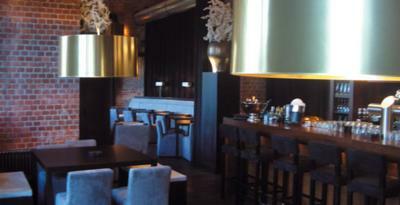 very nice location in hamburg,one of the best restaurants in the world. fancy cocktails.i love riverkasematten. Looking for that latest little gadget, the amazing neighborhood restaurant, the freshest destination or the unusual suggestion? Welcome! We are all about lifestyle, design, brands, architecture, travel, must-haves, gourmet, wine, food, hotels, spa's, coolhunting, and gadgets, so enjoy and we hope what you find what you're looking for. Entries (RSS) and Comments (RSS). 19 queries. 0.023 seconds.